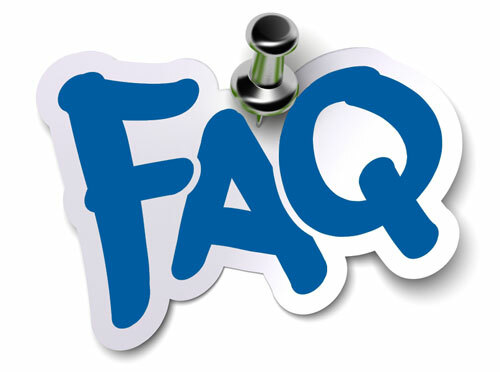 Here is a sampling of frequently asked questions regarding the CVA Awards. If you can’t find what you’re looking for here or have a more specific inquiry, please feel free to contact us direct. Can I submit my entries digitally / online? Entries can now be submitted and paid for online! Simply choose the “Enter Online” button and fill out the entry form. You will be able to drag and drop your artwork/radio/video files into the gray box in section 8. There is no limit to the number of entries submitted. You will receive a confirmation email once the files have been downloaded. If you choose to finish your entries at a later time, you will receive a link via email to go back to your entries. When are the deadlines for the 2017 CVA Awards Competition? Entries must be postmarked on or before deadline. Late entries (postmarked after September 28, 2018) must include a one time $25 late fee. No entries postmarked after October 19, 2018, will be accepted. All advertising /marketing materials developed, produced and/or distributed specifically for Cardio and/or Vascular service lines during the calendar year 2017 are eligible. Winners will be announced on the CVA Awards’ website, www.CVAAwards.com in December. All awards will be sent to the organization designated on the Entry Form (#6). Duplicate awards may be purchased. Please be sure to check the correct box on the entry form to indicate how payment will be provided. How do I submit my mailed entries? MOUNTED ITEMS: Mount all one sided materials… newspaper ads, magazine ads, posters, billboards, outdoor transit, logos, letterhead, etc., on a display board with the Entry Form attached. Photos of billboards or outdoor transit are acceptable. No specific size requirements in mounting. High-res pdf files are also accepted. RADIO SPOTS: Submit radio entries on a CD in an envelope with an Entry Form attached. WEBSITES: Simply list your URL as the name of your entry. Entries will not be returned. CVA Award entrants agree that all entries may be reprinted non-exclusively in Award Annuals, Marketing Healthcare Today magazine, and other promotional materials affiliated with Creative Images, Inc. Entrants hold or will secure the necessary licenses for use of all creative content embodied in any of the entries. There are no set number of awards. Depending on the number of entries per category and the quality of the materials the judges assign appropriate awards depending on the entry’s overall score. The judges reserved the right to assign no winner to a category if the quality of submissions does not meet their expectations.